These video tapes or the DVD can help you to learn how! This is a 90 minute version with all of the info in both videos plus bonus material! 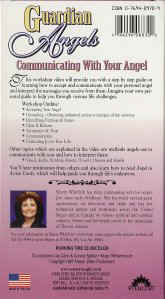 Just click on the button and when the window comes up, click on "read more"
First Video: "Communicating With your Angel"
This workshop video will provide you with a step by step guide on learning how to accept and communicate with your personal angel and interpret the messages you receive from them. Imagine your own personal guide to help you through various life challenges. You’ll hear testimonies from others and also learn how to read Angel in Action Cards, which will help guide you through your life’s endeavors. Second Video: "How Angels Can Make A Difference"
You’ll hear incredible stories from individuals who have learned how to communicate with their angels and see the difference this has made in their lives. You’ll see the miraculous changes through the personal guidance of angels that have led people difficult times such as depression, anxiety and even near death! 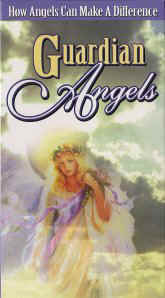 You’ll hear the most commonly asked questions concerning doubt, disbelief and uncertainty surrounding guardian angels. Listen to Sherry Whitfield’s explanations, which will help you to feel more comfortable about communicating with your own guardian angel. 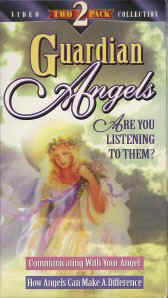 Take this opportunity to explore a relationship with your own guardian angel. Remember, everyone has a guardian angel, but not everyone takes advantage of its endless opportunities. 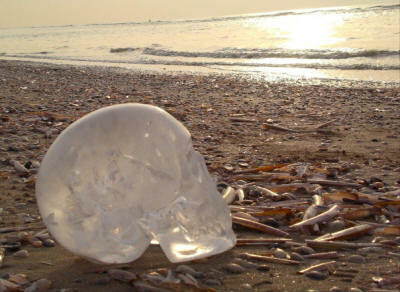 Crystal Skulls are Tools of Awareness! This video will answer that question and much more! being told because collaboration and cooperation are highly regarded in this tradition. Join us as we 'Talk Story' with crystal skulls and friends. Practical and useful information about working with your crystal skull. Arthur van Steen, Jaimee Nevins, Sherry Whitfield, & More! 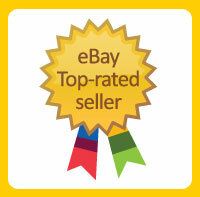 CLICK HERE FOR ORDERS WITHIN THE U.S.
CLICK HERE FOR ORDERS OUTSIDE OF THE U.S.